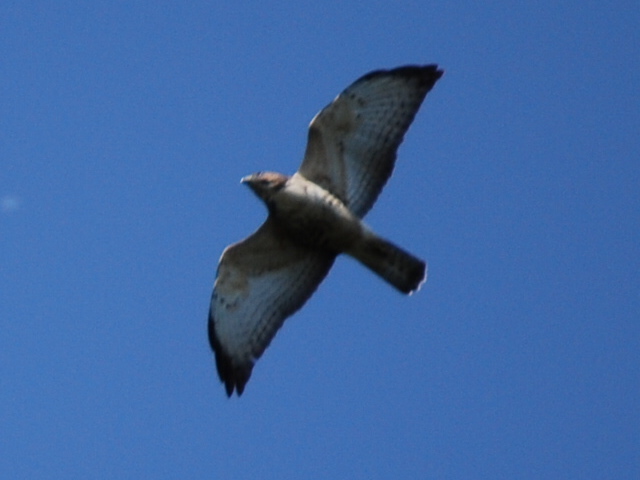 Broad-winged Hawk. We did NOT get close views like this. Photo by Mike Stewart. The tally board. Photo by Marty Hughes. 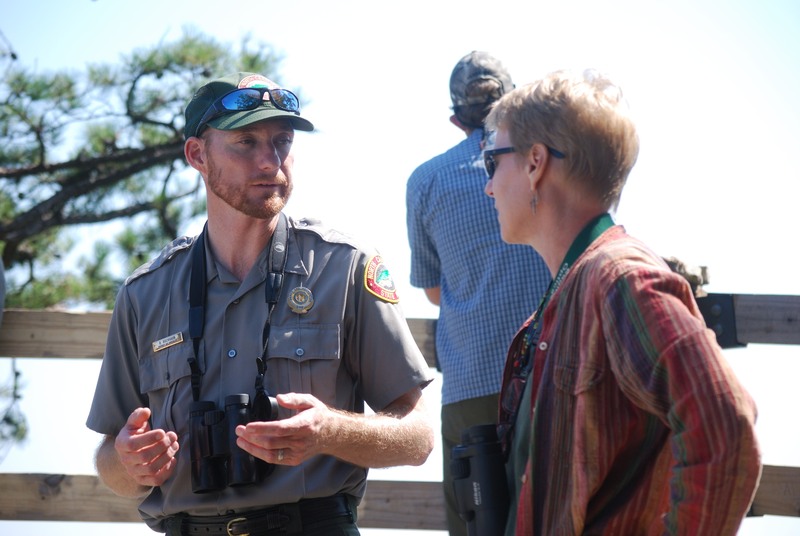 State Park Ranger Jesse Anderson was disappointed, too. One day he exclaimed “I’m done with it! 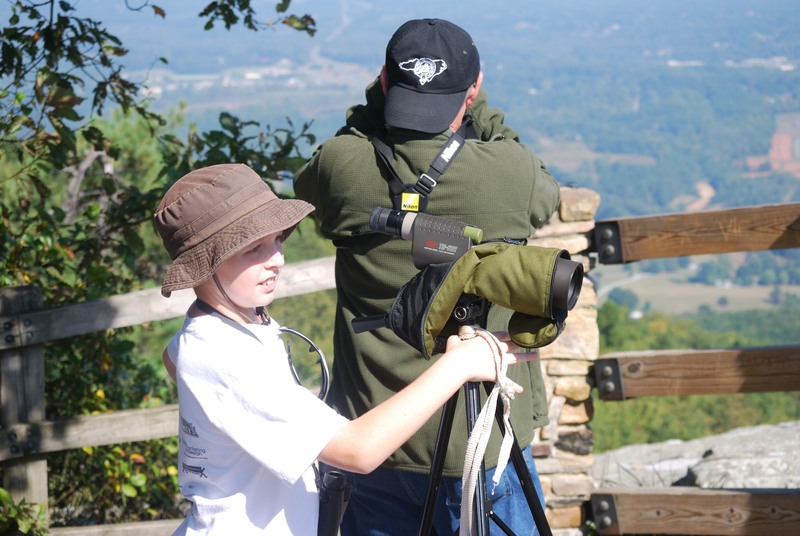 I got my fill for the year… I won’t be up there until next year.” But the very next day he raced James Williams to Little Pinnacle overlook where the annual hawk watch takes place. 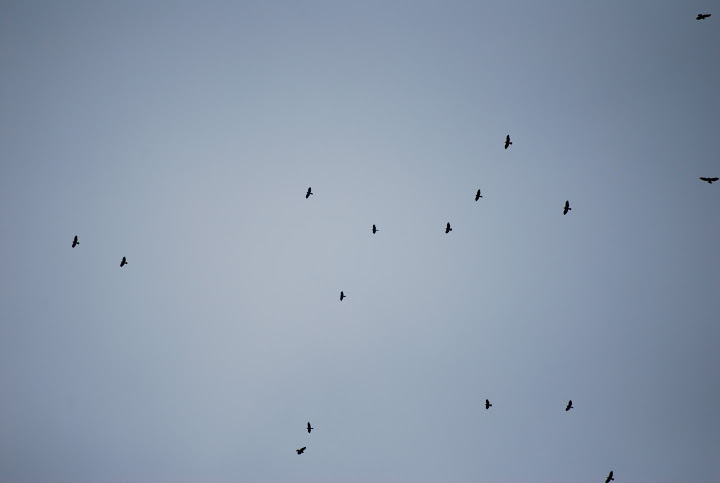 Hawks follow migration patterns, but they are not perfectly predictable. And, certainly, the weather played a role this year. During the peak stretch this fall, the mountain was fogged in every morning and only somewhat cleared in the afternoons. 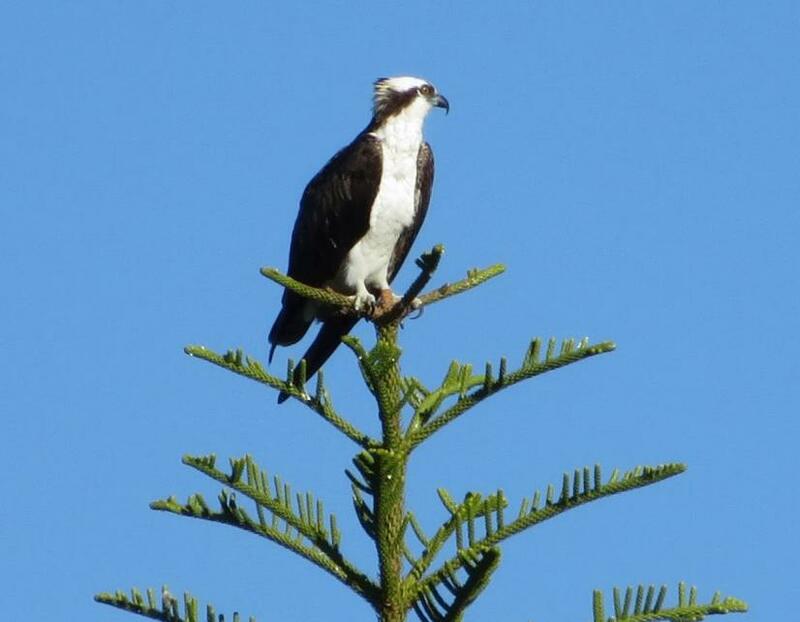 Jean, who took over as compiler of the hawk watch after Phil Dickinson moved to Washington state last year, reported “We were ready, expecting to see many birds when the weather finally improved, but we were disappointed. The kettles didn’t come. 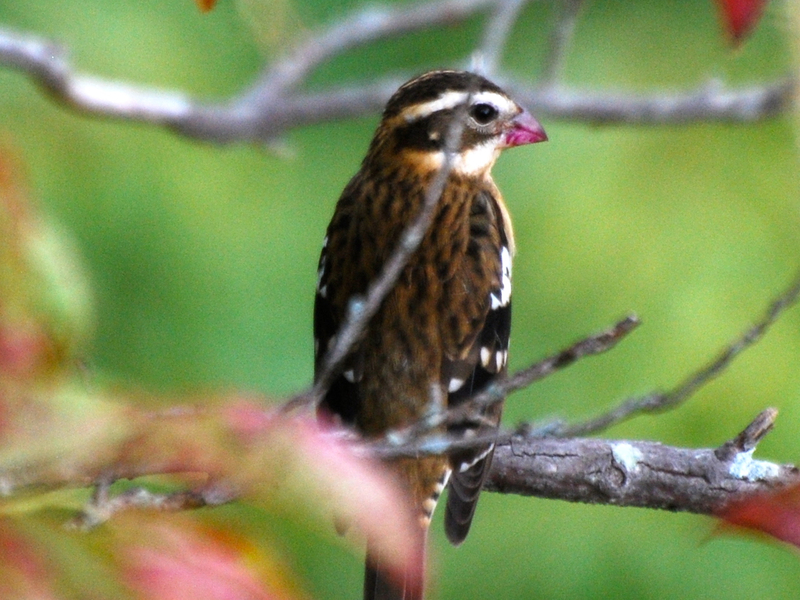 It seems the birds hadn’t minded the dreary weather and came through when we couldn’t see them, or maybe they just flew around us.” Another weather oddity this year was the unseasonable heat; some described it as downright hot. And, there were almost NONE of the usual stink bugs…and nobody missed them. All eyes on the sky. 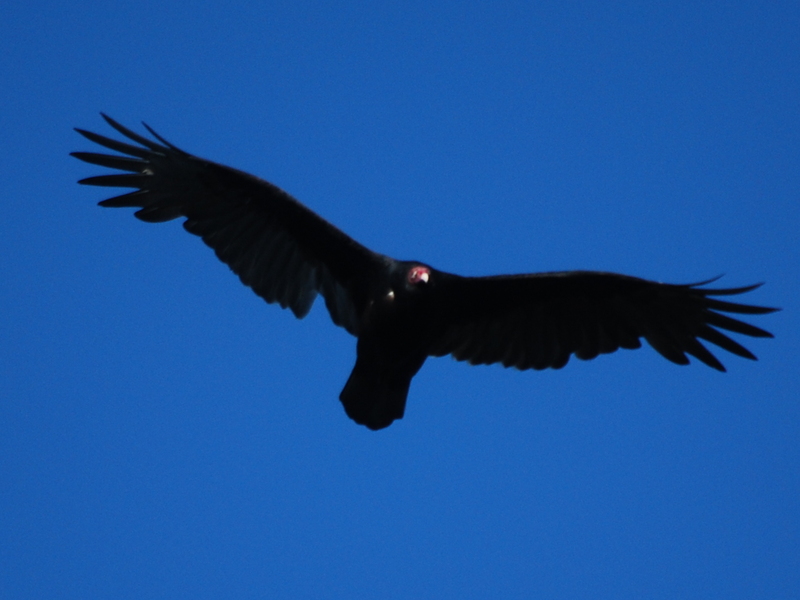 While Broad-winged Hawk migration was much slower than usual, we had a good year for other species. 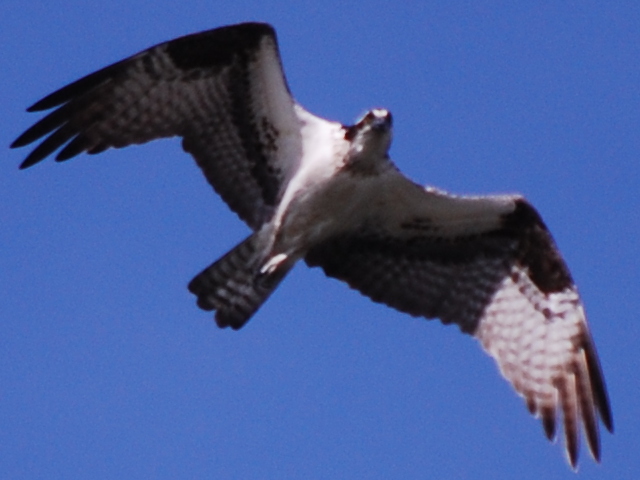 We saw more Osprey (60) and more Peregrine Falcons (20) than ever before. They passed through steadily throughout the watch period from September 11 to October 5. We saw a normal number of Bald Eagles (32), Merlins (6), Northern Harriers (6), and Kestrels (18). But, this hawk watch is valuable for more than the raptors counted. It may be one of the friendliest and most welcoming to visitors of any in the country. 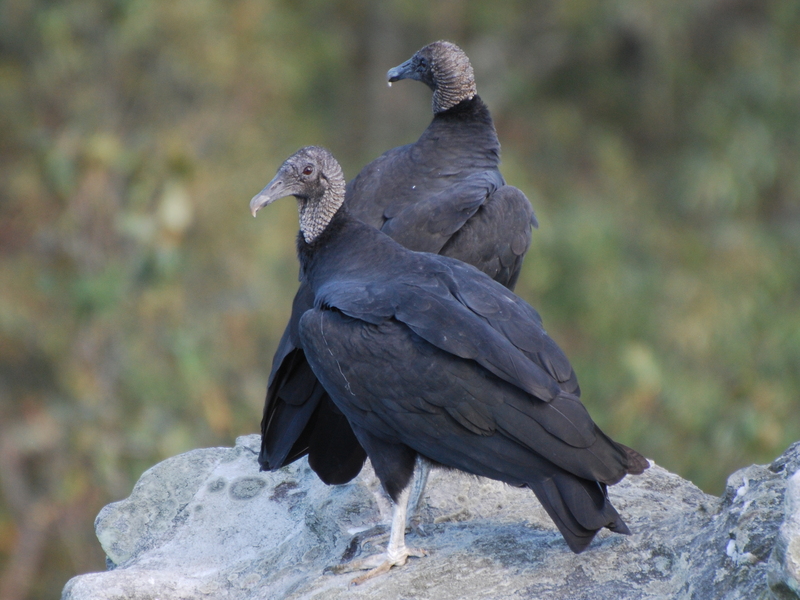 Our Broad-wing numbers may have been low this year, but education was soaring. Wandering Glider. Photo by Jay McGowan. Slow times for hawks gave Jesse the opportunity to have some fun teaching about and counting migratory dragonflies. That’s right, dragonflies! 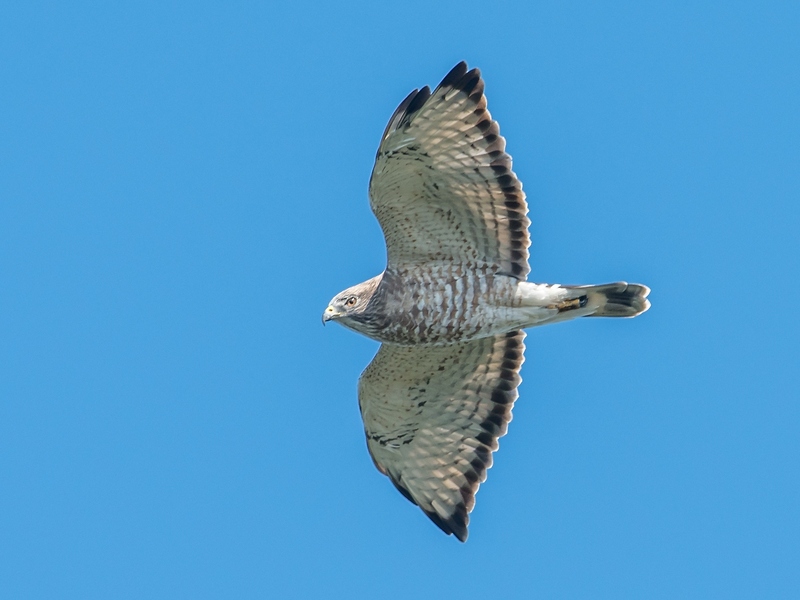 This year we added a new aspect to our hawk count and included counting numbers of four dragonfly species that are relatively easy to identify in flight. Through the Migratory Dragonfly Partnership, hawk watchers can identify, count, and submit these numbers along with the daily hawk results. 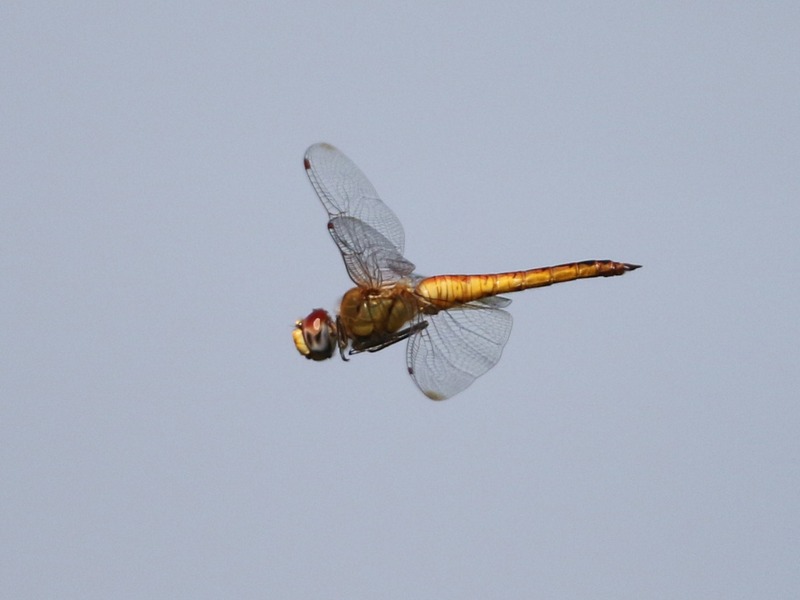 Jesse’s favorite dragonfly to share with visitors and hawk watchers was the Wandering Glider (Pantala flavescens). This brightly colored large yellow skimmer is easy to identify in flight and it happens to have quite an interesting natural history. The Wandering Glider is considered to be the most widespread dragonfly on the planet, and it exists on nearly every continent! Also, it is the highest flying dragonfly, recorded at over 20,300 feet in the Himalaya! 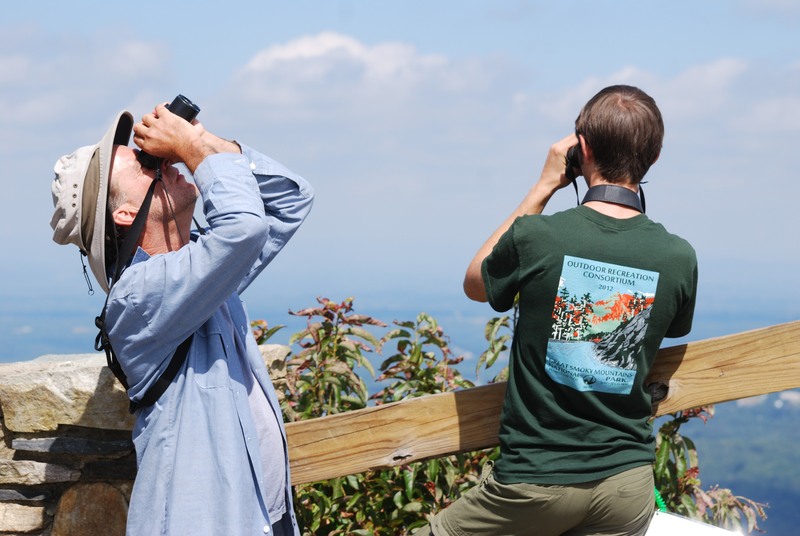 So, next year, before the large kettles of Broad-winged Hawks start moving through, come test your binocular skills and help count our zipping dragonfly friends, too! 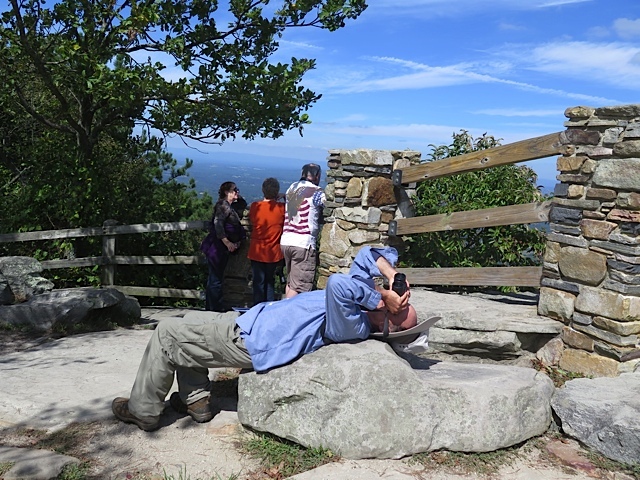 Jesse showing a group of girl scouts how to look for raptors. 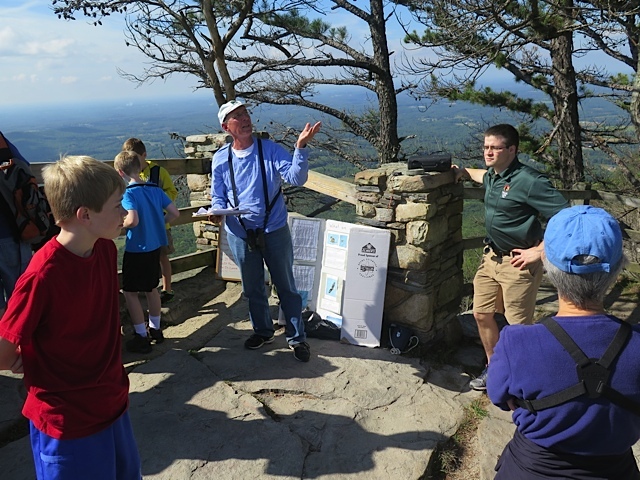 Jesse also led over 40 educational programs for more than 2,600 visitors including local and visiting boy scout and girl scout troops, 4-H clubs, school groups, and other visitors. 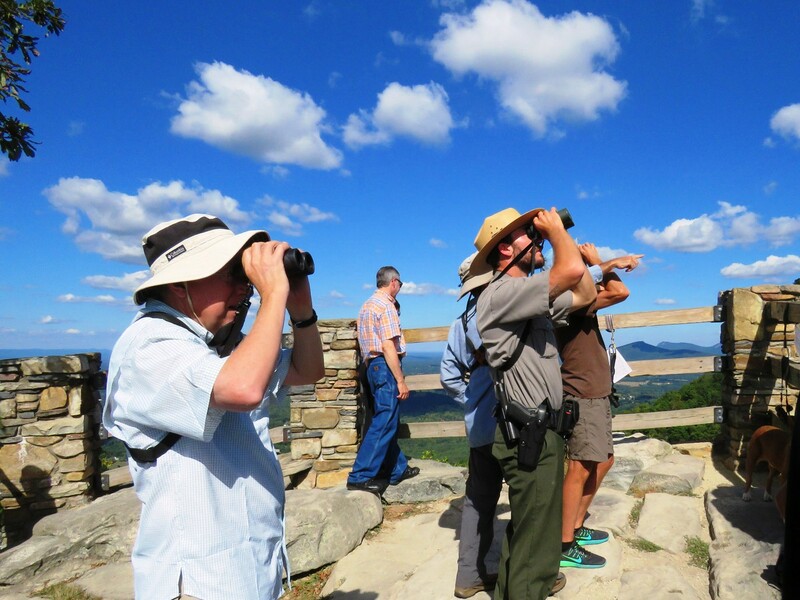 Jesse brought extra binoculars that were recently purchased by the park for visitor use. They were a big hit with the crowd, especially with the kids, enabling everyone to join in the fun. There could have been a future hawk counter infected with raptor fever due to his efforts. 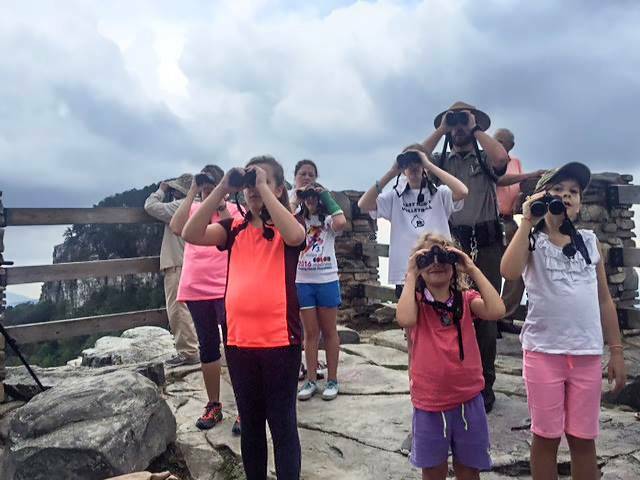 A special kick-off event was held for Grandparents Day (September 10th /11th) when visitors of all ages, both the young and young-at-heart, could earn their badge as a Junior Ranger at Pilot Mountain. Other programs included a live-raptor presentation from Jean (a Wildlife Rehab Inc. volunteer), Binocular-use 101, and Raptor Yoga. 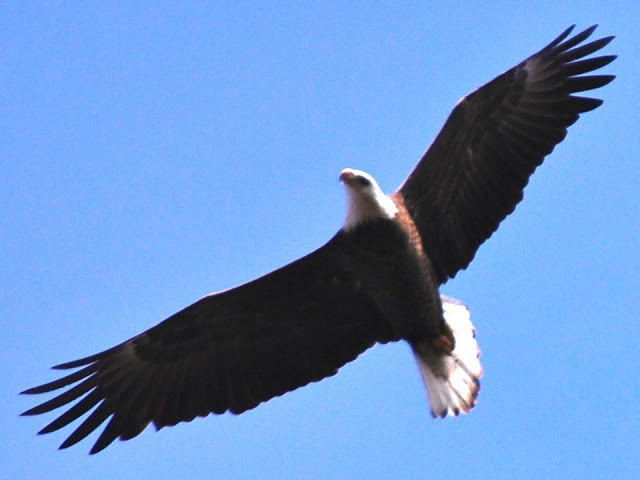 Visitors were given introductions to raptor migration, identification of different species, and a brief conservation plug on easy ways we all can help. Phil Dickinson, previous compiler for the count, was greatly missed this year, but Jean Chamberlain demonstrated excellent leadership and proved herself to be a worthy successor. Jesse Anderson’s passion for all things that fly and his in-depth knowledge are taking education to new levels. 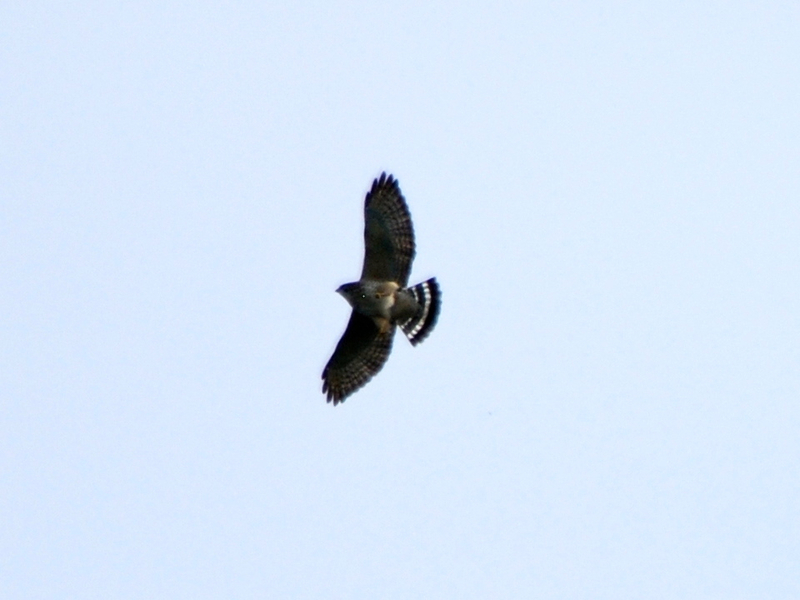 Volunteer hawk counters James Williams and Alan Firth contributed significantly by their presence on many days. Thanks to these and all our other volunteer counters and visitors for making 2016 a memorable year. Thanks to Jean Chamberlain, Jesse Anderson, and James Williams for their contributions to this story. 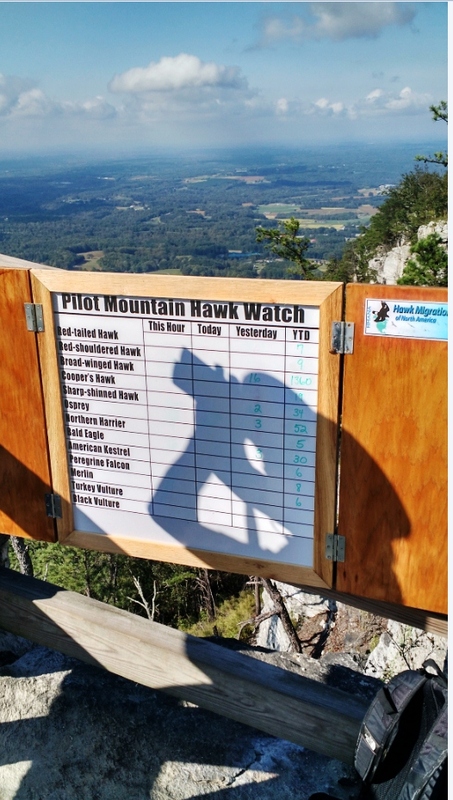 For a little history of the Pilot Mountain hawk watch, see Phil’s post Merlins Join Other Migrating Raptors at Pilot Mountain And, if you want even more hawk watch stories, see Flights of Fancy at Pilot Mountain and Recapping the 2014 Pilot Mountain Hawk Watch.